People talk about wine from the Old World and New World. Exactly what are they and can one taste the difference? Tersina Shieh is a wine expert who promotes wine culture in Greater China. She is a wine consultant, marketer, event organiser, winemaker, food/wine pairing adviser, wine judge and writer, based in Hong Kong. She makes wine, judges and writes about wine, organises wine events and is passionate about wine. She has made wine in England, Portugal, South Africa, China and New Zealand. Rewriting Wine 101 is a fortnightly Foodie article where we take wine knowledge one step beyond the basics with Tersina, who explains wine in a no-nonsense way and eliminates the barriers that make wine difficult to understand. Is 'Red Wine with Meat, White with Fish' Still the Rule? Old World refers to wine made in countries with long winemaking history, which are basically European countries such as Italy, France, Greece, Spain, Portugal, German. Georgia is the country that has been making wine for over 8,000 years, making it the oldest winemaking country in the world. New World, in contrast, are countries outside Europe where vine growing and winemaking skills were brought in by European settlers, such as the USA, New Zealand, Australia, Argentina and Chile. All grape varieties originated from the Old World, which were then spread to other regions. A few of them become international varieties, such as Cabernet Sauvignon, Merlot, Syrah/Shiraz, Chardonnay and Sauvignon, as they can be found growing in almost every wine region in the world. Depending on the climate and soil, a majority of the wine from New World are made from 10-15 different grape varieties. Old World offers a myriad world of grape varieties. In Portugal alone, there are over 300 native varieties while in Italy, over 1,000 are documented and there are a lot more which have yet to be recorded. Some of these varieties are only grown in a tiny region. This is one of the reasons why consumers are confused with Old World wine — too many unheard hard-to-pronounce varieties. There are also stylistic differences. General speaking, New World countries have more sunshine hour, allowing the grapes to ripen fully resulting in fuller-bodied wine and higher alcohol, whereas most wine regions in the Old World are in more moderate and even cool climatic zones, hence the wine is usually lighter with lower alcohol. In addition, New World relies on modern technology to maximize fruit extraction, often supported by generous oak. Wine made this way is flashier and more forward. The Old World, on the other hand, has more regulations in terms of winemaking and tends to adhere to tradition, resulting in wine that is subtle. So next time when you taste a full-bodied wine with a lot of fruits with supple tannins, it is likely that the wine is from the New World. If the wine is more restrained, but with added complexity of herbs and earth, chances are that the wine is from the Old World. However, nowadays wine is not that black and white anymore. Winemakers from both worlds learn from each other and there is no shortage of Old World style New World wine or New World style Old Word wine. There is one country I would like to mention: South Africa – which is in between Old and New World. 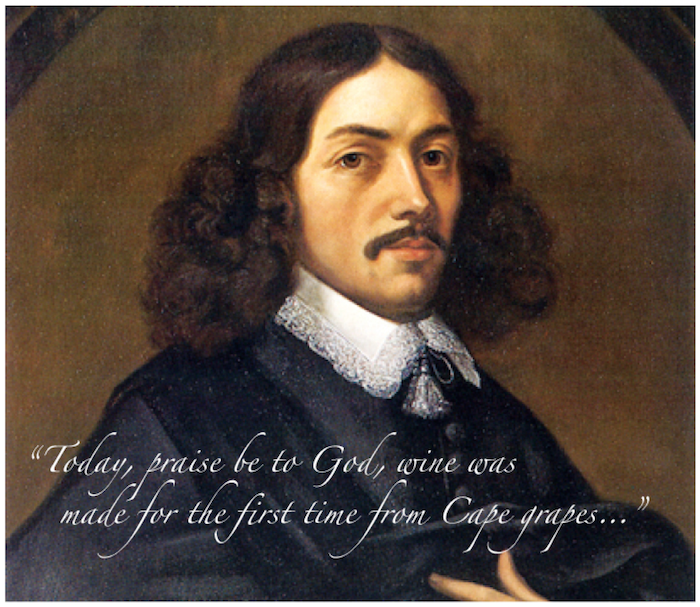 It has more than 350 years of winemaking history making it the oldest of the New World and most winemakers still adhere to the traditional winemaking practices. With more sunshine than most Old World, South African wine displays more ripe fruits, but the wine always tend to be earthier and drier, more akin to the Old World style rather than the overtly ripe fruit character of the New World. Wines of South Africa is hosting a South African Wine Festival on 11th April at Hotel ICON, where a diverse range of South African wine and food will be showcased. Go try it yourself.